The recipe is an example of domestic economy and use of leftovers in the modern era has been lost. Grandma’s meatballs are made with meat that has been used to make a good broth. In truth, boiled meat is not particularly pleasing to people except for a few admirers. It should be said that the meat has released its best substances to the broth and therefore has broken down and has less flavor. If you have leftover roasted meat, this recipe is also useful. These meatballs are especially liked by boys. Because they are enriched with many ingredients, they are quite substantial and therefore higher in calories. If used for a meal, they should be the only course for lunch or dinner, accompanied by grilled vegetables and a good salad. Soak the small loaf of bread in milk. 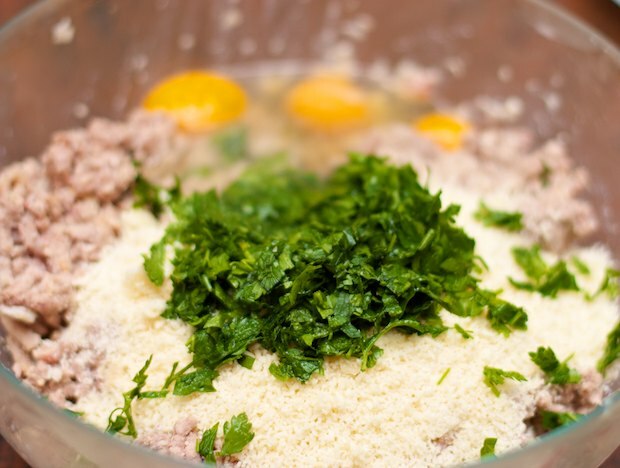 Grind the meat and sausages along with the parsley with a meat grinder or food processor. In a large bowl, add the ground meat, bread (with the excess liquid wrung out), parmesan cheese, egg, and a little salt and pepper (keep in mind that all the ingredients already contain salt). 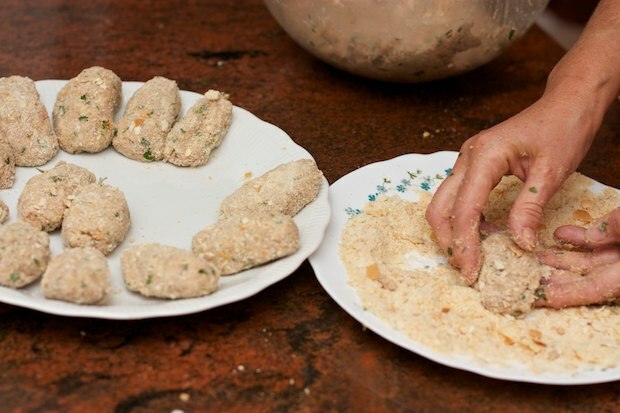 Spread the bread crumbs out on a plate and keep it close to the meatball mixture. 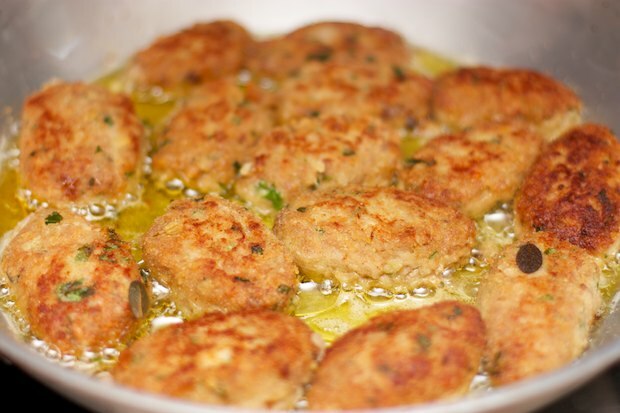 Thoroughly mix and form into slightly oval balls then roll them in plate of bread crumbs. 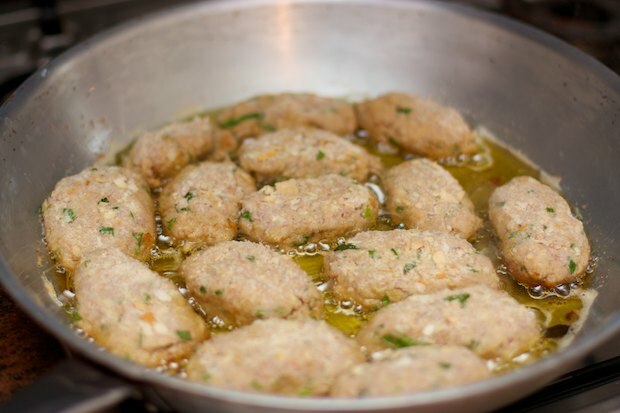 Heat the oil in a frying pan and when it is hot, add the meatballs. Fry the patties on both sides (about 5 to 7 minutes per side), keep at moderate heat to prevent the patties from blackening. Remove from the pan and place them in a paper towel covered plate to absorb excess fat. Serve immediately while they are still nice and hot. Posted in Meat. RSS 2.0 feed.